HELSINKI (BRAIN) — Mavic's owner, Amer Sports Corp., is reporting net sales of 783.7 milion euros ($870 million) in the fourth quarter of 2015, up 6 percent in local currencies from its sales in the same period in 2014. Gross margins increased to 43.8 percent from 43 percent in the prior year. Sales of higher priced e-bikes in Europe continue to drive revenue and profits. HEERENVEEN, Netherlands (BRAIN) — Accell Group reported growth in revenue in the third quarter, which the Dutch conglomerate attributed to healthy sales of the company's German and French bike brands. MONTREAL (BRAIN) — Dorel Sports third quarter revenue was flat at $266.5 million, but was up about 9 percent after removing the effect of currency exchange fluctuations — an increase that Dorel Industries credited to its IBD sales. STOCKHOLM (BRAIN) — Thule Group will continue to focus on its Outdoor & Bags division, despite some softness in sales of its electronics and camera bags in the Swedish company's most recent quarter. NORTHFIELD, Vt. (BRAIN) — Sock maker Darn Tough Vermont says it has seen a 51 percent increase in sales in the first three quarters of 2015 and has added more knitting machines and more workers at its mill, including 100 new job positions there this year. SAN MATEO, Calif. (BRAIN) — Shares of GoPro Inc. tumbled 17 percent in after-hours trading Wednesday after the action camera maker reported third-quarter earnings that fell short of analyst expectations due largely to weak sales of its compact, lightweight HERO4 Session camera, introduced during the second quarter. OLATHE, Kan. (BRAIN) — Garmin reported Wednesday that revenue and margins continued to slide in the third quarter as the strong U.S. dollar undercut growth in unit sales. OSAKA, Japan (BRAIN) — Shimano says its bike and e-bike component sales have been strong globally in the first three quarters of 2015, with double-digit percentage increases in sales despite unfavorable weather in Europe and North America. HELSINKI (BRAIN) — Sales in Amer Sports Corp.'s cycling business — via its Mavic brand — were down 5 percent in its third quarter, which ended Sept. 30, and up 1 percent year to date compared with the same period last year. SALT LAKE CITY (BRAIN) — Outdoor supplier Black Diamond, Inc., which owns the POC brand, generated record sales in its second quarter, which ended June 30. Decline in sales in Europe and North America, and foreign exchange losses impact earnings. 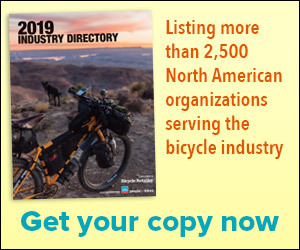 MONTREAL (BRAIN) — Dorel Industries reported that second-quarter revenue for its bike business, Dorel Sports, was down $35.2 million or 12.3 percent compared to the same quarter last year. Revenue totaled $251.1 million compared to last year's $286.2 million for the segment. Easton and Race Face sales contribute to increase; company raises its fiscal year guidance. SCOTTS VALLEY, Calif. (BRAIN) — Fox Factory Holding Corp. said Wednesday that its sales in the first half of its fiscal year were up 15.8 percent, to $165 million.